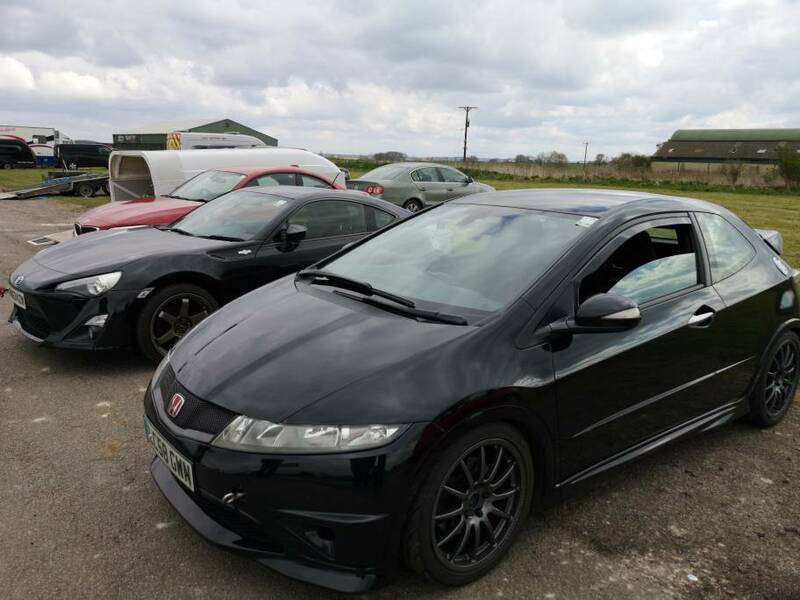 Me and my brother are on it again, this time at Blyton Park with Javelin Trackdays on the 14th April. This time we have an RX7, 218d and possibly a turbo Beetle joining us for the fun, as well as the GT86 my brother is in. If anyone here fancies it please feel free to come along as always. It's looking like a cool but dry day for Sunday so hopefully the brakes will hold up to some abuse. It shall make for an interesting day as I've been before and I've since added a wavetrac LSD, matching rear pads (DS2500) and NS-2R's to the mix. Fantastic day at Blyton, the day was sold out but getting out on track was not a problem at all. Unfortunately our friend with the rx7 had to back out last night due to fuelling issues, but despite this a stray rx7 was out on the day anyway! Good old civic took the day really well and the chilly air kept the brakes in check as they didn't fade once and that is good going on 15 minute stints i aimed for. The car handled wonderfully again, really predictable on the edge so pushing through port froid led to many a drift until finally doing it flat out on the cleaner runs. Camera battery survived this time so footage will be up in the week for this interested. The kerbs are still massive. A couple more are still being worked on. 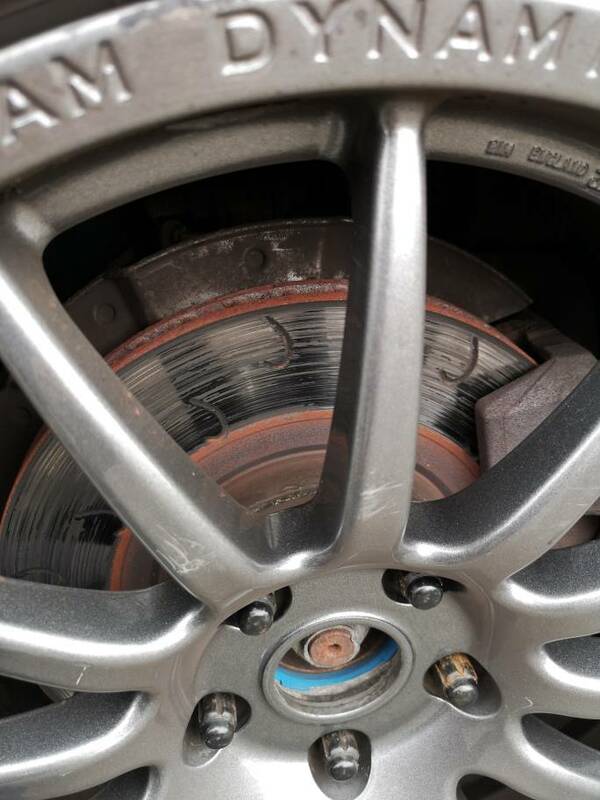 Some pad deposits from the DS2500 did make their way onto the discs, but I only noticed this towards the end of the day when I was out for longer. Also, watching back over the videos I can see that I am on the brakes for a little too long. This is partly down to me not competely trusting them given my last experience at Blyton.